Lucas Lenfest - earned his Cooking and Emergency Preparedness Merit Badges and earned is Life Rank. Pierce Foxwell - earned his Climbing and Wood Carving Merit Badges and completed the COPE program. He also earned his First Class Rank. 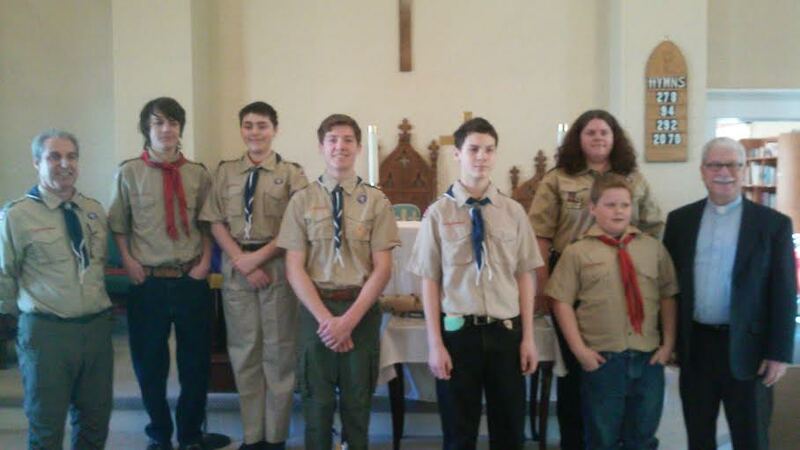 Trent Thompson - earned his Kayaking, First Aid and Wilderness Survival Merit Badges. He also earned his Tenderfoot and Second Class Ranks. 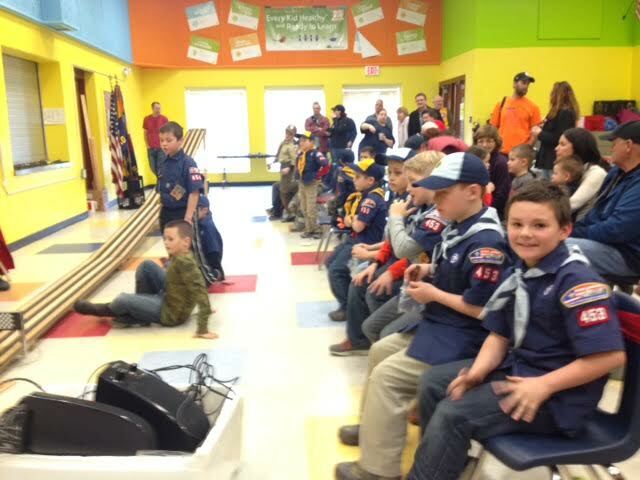 Our Troop 453 in Oakland at the Pinewood Derby. Many thank to the families and the whole congregation that support out scout program. On Tuesday Night, January 19th the scouts gathered at the church, with Pastor Joe to experience what Fellowship and Duty to God can be like in our lives. With an interactive exercise we found both the joy and responsibility that living with the Golden Rule can bring for ourselves and those of our local and global communities. On January 15th the scouts held a sleep over at the church where they worked on skill accomplishments and having fun together. Thank you to the leaders and parents that made this a wonderful night for the scouts.